This EP is amazing. I would even say that I prefer this to "7 Songs." 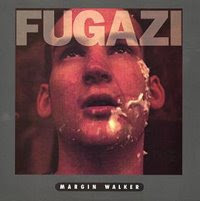 Every song here is mixtape worthy, not something that can be said for all Fugazi albums. "Margin Walker" itself is one of my all-time favorite songs of theirs. It is pure insanity. The album cover is just bizarre.